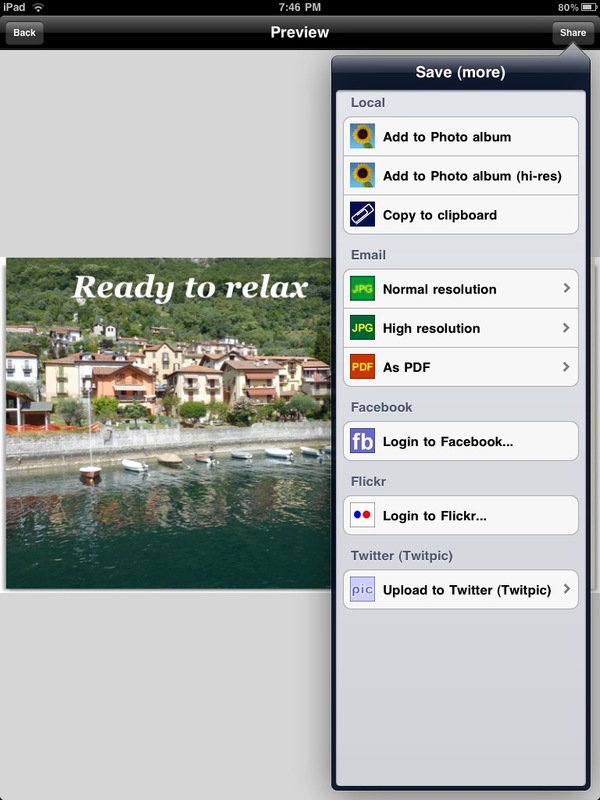 Creating photo postcards on the iPhone has always been a hit with us on the iPhone. Not just for creating ‘Wish you were hear’ post cards when traveling. We have also been successful at sending out postcards with images of a project underway, site mockup, new logo, or office visit carts to our clients. These are handy little visuals we send prior or just after meetings as a visual reminder. That isn’t to say we don’t all use it when traveling for family and friends. Many of the best shots for postcards are the fun snaps you can take of a location. Now you can tune the visual and message to a specific family member your sending it to… and they get it much quicker than waiting till you happen to find a place to mail a physical postcard. Uh, did you remember to pack the stamps?! 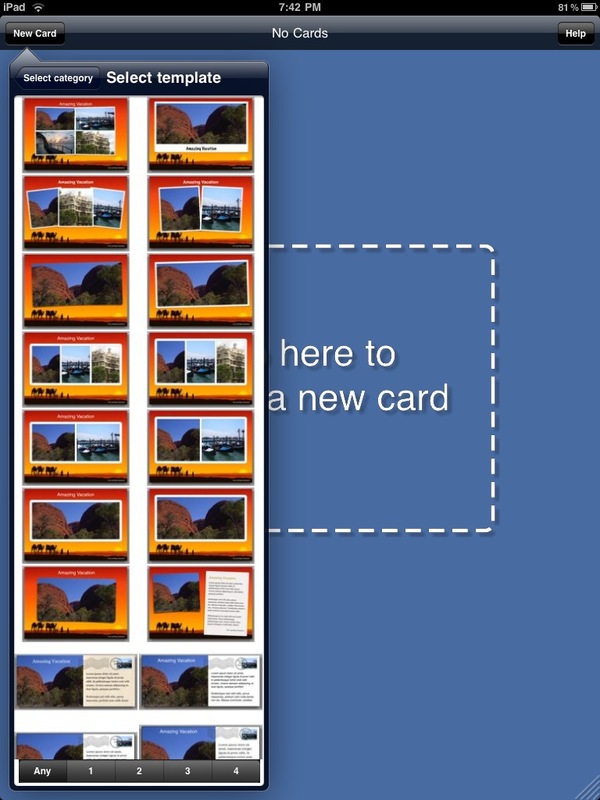 The iPad version (universal) of LifeCards has all the features we have enjoyed on the iPhone but now the size and layout allows for a better view of what the end product will look like to the folks we send the cards to. 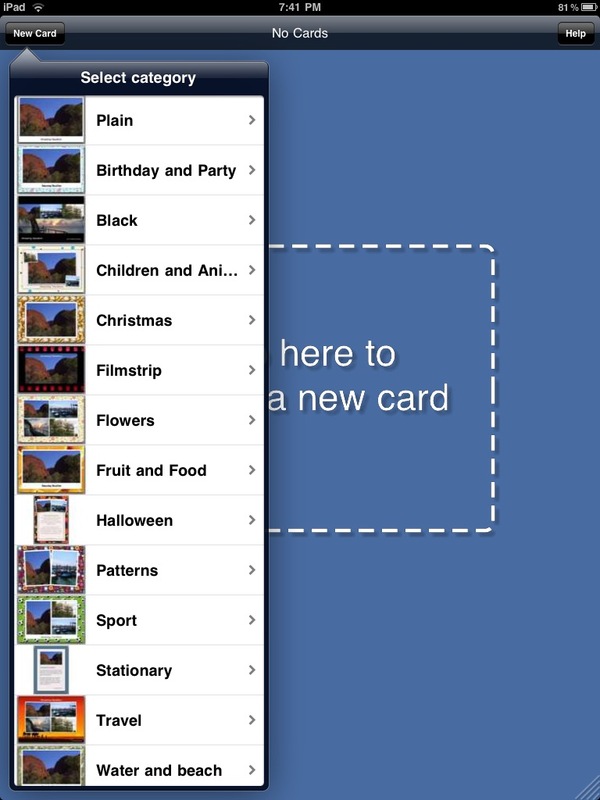 Launching the app, you create a new card from a long list of template types. Each template type has a variety of layout designs and background/border art to choose from. From a single image to many, the options have proven handy to hit just the right message. 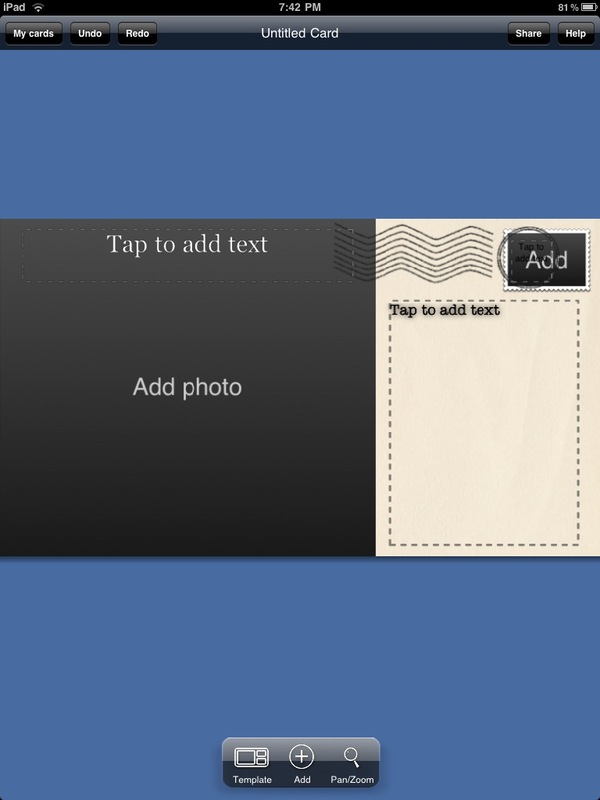 With the desired layout on screen, you tap on the Image spots to add images and text to enter text. You can even add a image as the stamp – we usually go with our company logo. When adding or editing text later, you have full control over the color, size and font. When the card is as you wish, yes you can edit it later if you wish to tune for another client of family member, there are many options to share and distribute your LifeCard creation. LiveCards make it very easy to create quick visually impacting items that get the attention of those you send them to. Of course it’s a great way to distribute the Kid’s fine art pieces out to relative too… get the whole family involved.